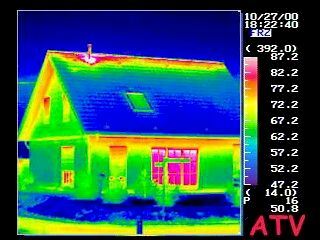 Many of the problems associated with an uncomfortable home and high utility bills can be discovered with the use of infrared scanning. 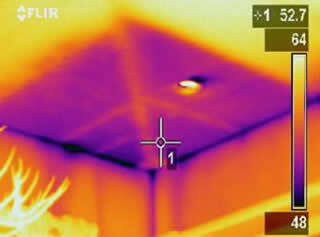 By using a thermal camera, we can discover areas of your home that are allowing temperature changes and condensation. 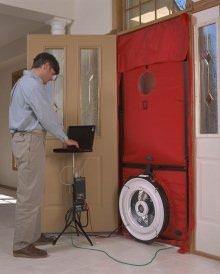 The Blower Door test is used to measure air flow. At 50 PASCALS the rate at which we depressurize each home tested is equal to about 20 mph of wind on all exterior walls and the roof. 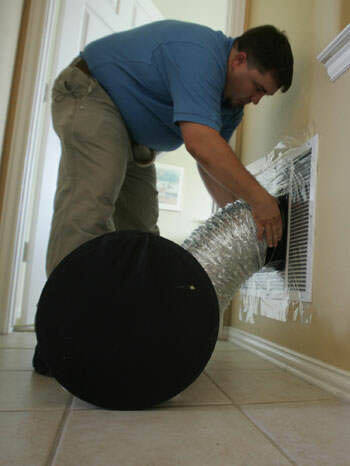 This provides us with an air leakage rate, measured in CFM. That number is then calculated, based on the overall volume, to find the home's natural air change per hour or NACH. This test is preformed along with the Blower Door test to measure how tightly sealed the home is. This measures the amount of conditioned air that is leaking to the outside of the building shell.